SolidlyStated’s various hardware, software, and design updates have been sparse lately. I wanted to make sure all my reader’s know that I haven’t been slacking. I have been working on a web property for another LLC I am part of and getting that off the ground. 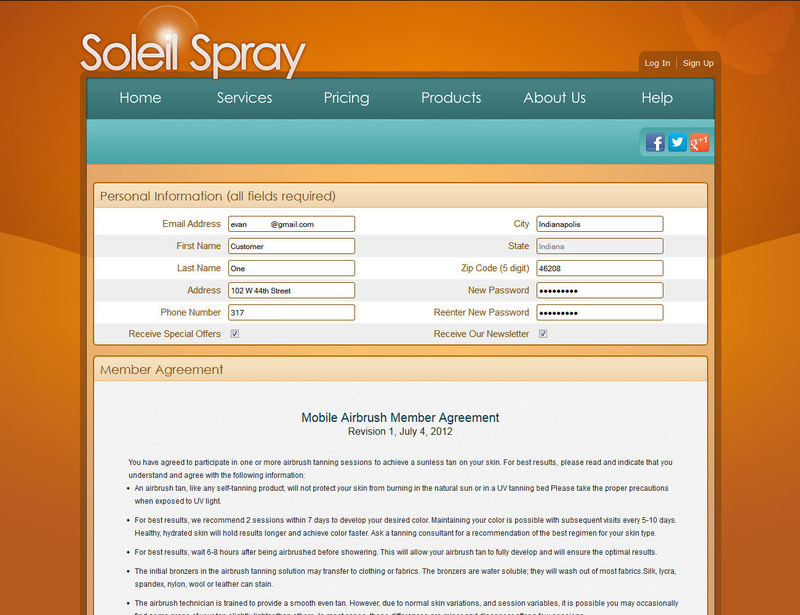 Soleil Spray is the first of hopefully many sites that use my new web application for Mobile Spray Tanning- a relatively new concept in an already established industry. 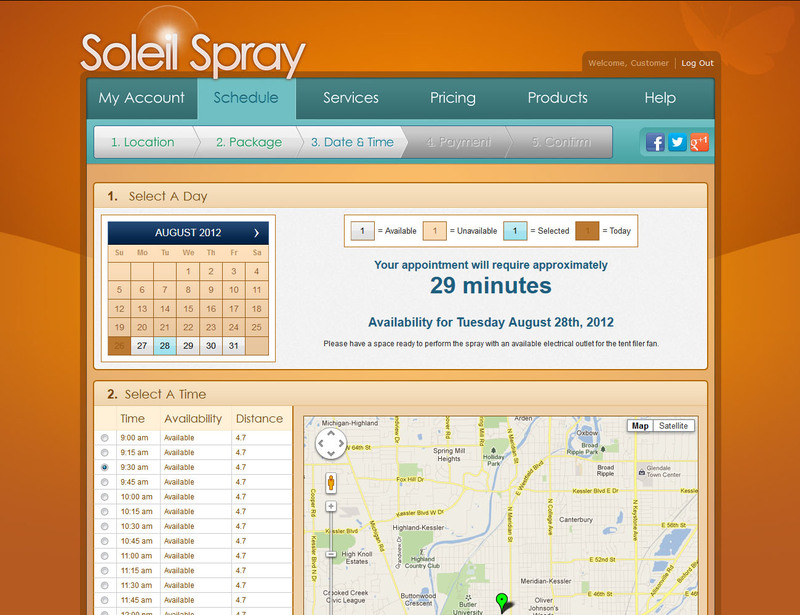 Soleil (French for the word “Sun”) Spray is an Indianapolis-based mobile business, but I have created the application to serve other small businesses in the same line of work around the country. I still love computers and technology, so don’t think I am jumping ship to go into skin care and vanity. It’s just time to show off this new website and give you a glimpse of how I build complete websites. After all, I offer tips for design and scripting all time. It’s good to see how it all comes together. This web application takes many of the concepts useful in an enterprise environment and applies them to a commercial, public website. I have put to use all the techniques I espouse here on Solidly Stated. One of my favorite aspects of building this property was getting to do something colorful. I did a lot of orange hues throughout and some great aqua colors. 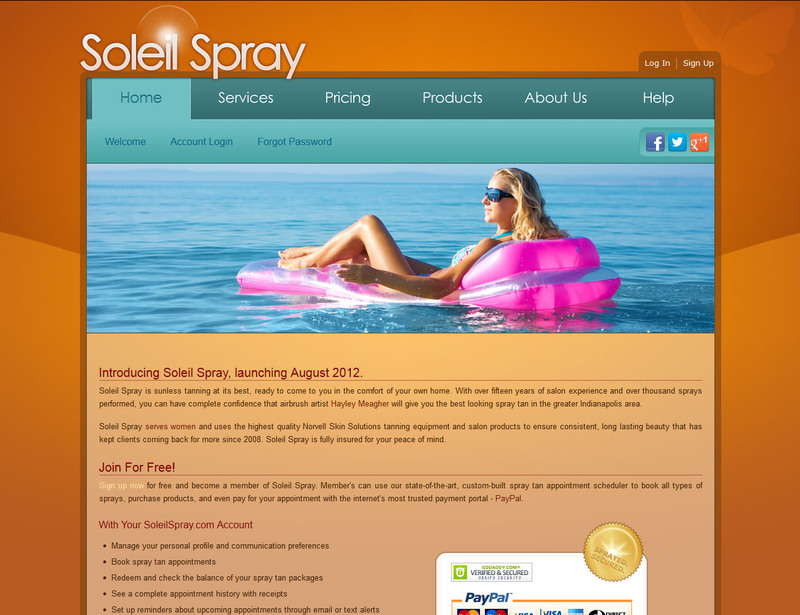 People originally said, “You want to use the color orange on a tanning website?” Yes- I absolutely do- and it turned out great! Much better than a drab, lethargic brown. This design sizzles with energy and, for those who keep up with colors, matches perfectly with blue accents because orange and blue are complementary colors. Nothing groundbreaking there, but it allows me to use a two-tone blue and aqua navigation theme and highlight tanning pictures that feature plenty of blue water and skies. I am very excited about the launch of this new site and will continue to update Solidly Stated as often as possible. 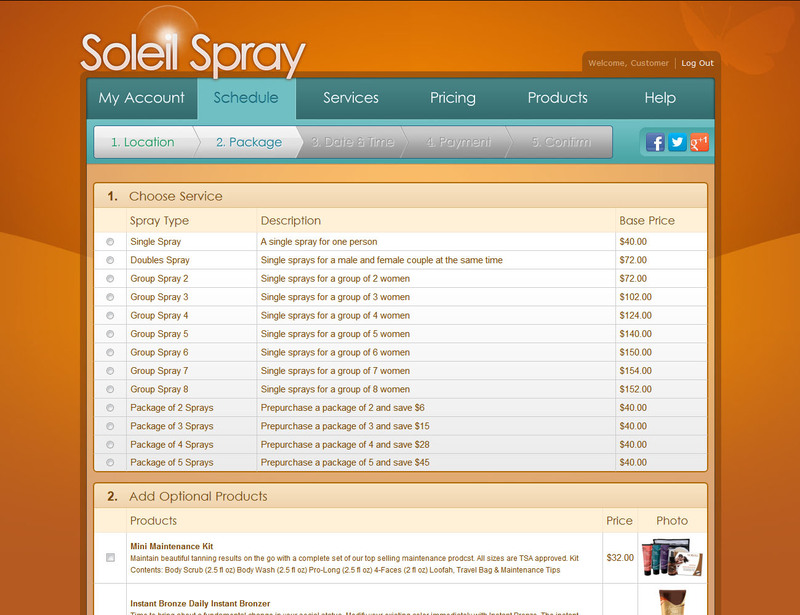 In the meantime, head over to Soleil Spray and check out the design and functionality.